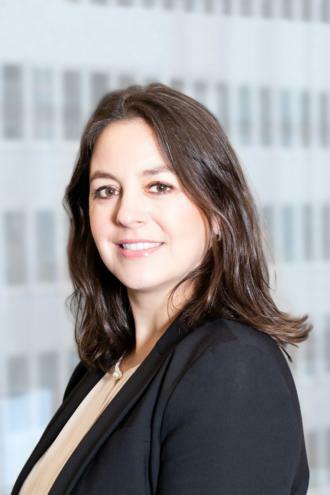 Alexa Englander joined the firm as an Associate in 2008 and became a Partner in 2016. Ms. Englander is a Partner in the Firm’s Administrative Department and practices primarily before the New York City Department of Housing Preservation and Development (HPD), State Division of Housing and Community Renewal (DHCR), and City, State and Federal Human Rights agencies. Ms. Englander has assisted numerous owners of single room occupancy (SRO) buildings, cooperatives, hotels and clients whose buildings have landed on HPD’s “Pilot Program List” in navigating the certification of no harassment (CONH) application process. She also advises on anti-harassment issues and development constraints relevant to SROs and other buildings in special anti-harassment districts. In addition, Ms. Englander has extensive experience practicing before DHCR, representing owners in all forms of affirmative and defensive proceedings, including substantial rehabilitation proceedings and defense of overcharge, harassment and other complaints filed at that agency through all stages of administrative and judicial review. Ms. Englander also practices extensively before the City and State Human Rights agencies, as well as the U.S. Department of Housing and Urban Development, representing clients in their defense of complaints of discrimination and/or harassment filed by building residents, apartment applicants and, in some instances, building staff. In addition to successfully defending a number of cases before these agencies, Ms. Englander has negotiated settlements and advised clients with respect to the appropriate handling of reasonable accommodation requests, in consideration of the relevant provisions of law and each agency’s policies and procedures. Ms. Englander has also performed Anti-Discrimination Trainings required in connection with settlements before the City and State Human Rights agencies. Ms. Englander was recognized as a Super Lawyers Rising Star for each year from 2014 through the present.